Objective tinnitus: This type of tinnitus can be heard by healthcare professionals. It is caused by a medical issue whereby the afflicted person hears blood circulating in the ears or repeated clicks produced by involuntary muscle contractions or vascular deformities. Subjective tinnitus: This type of tinnitus is the most common, representing 95% of all cases. Only the person suffering from tinnitus can hear these noises. Subjective tinnitus may be caused by hearing loss due to aging or prolonged exposure to excessive noise. Although various types of tinnitus are not dangerous, they are nevertheless annoying: they can cause insomnia, irritability and problems concentrating. 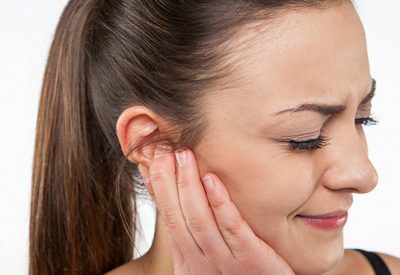 Did you know that a misaligned temporo-mandibular joint is often the cause of tinnitus? And it can be fixed! Book an appointment with your dentist and find out how you can stop the noises once and for all!